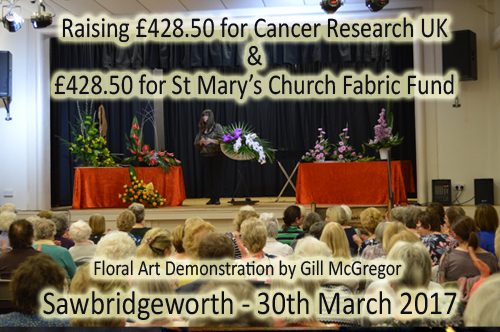 Amongst the many hundreds of flower club events that Gill demonstrates to Gill also offers her floral art expertise to help raise money for different charity events where they are looking to entertain and wow audiences to enable them to run events that raise funds. 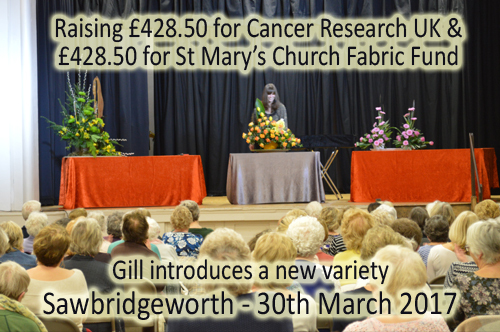 Cancer Research UK is a charity that Gill frequently supports, both with demonstrations and through the sales of her books; frequently in partnership with other charity causes. 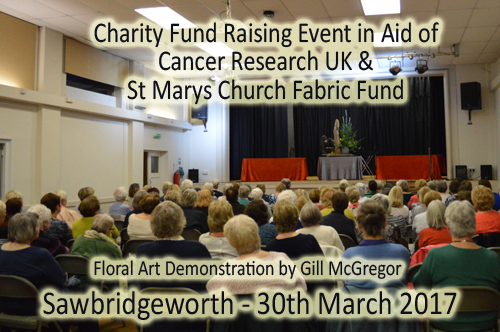 On the 30th March 2017 and in collaboration with the committee supporting St Mary's Church Fabric Fund - Sawbridgeworth - Gill's floral art demonstration raised£428.50 for Cancer Research UK and £428.50 for Mary's Church Fabric Fund. 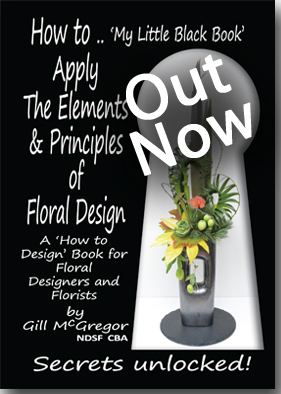 Gill's vision, for charity fund raising events, is that the raffle winners should each be able to walk away with the whole completed design; container and all. 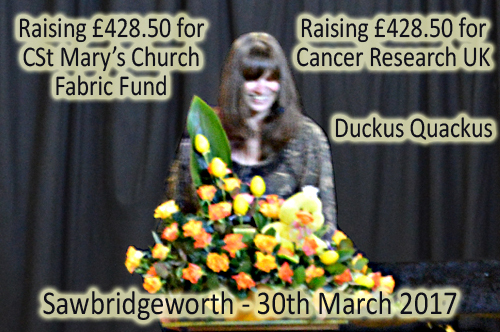 This to encourage the best raffle ticket sales; and the pleasure for the winners.